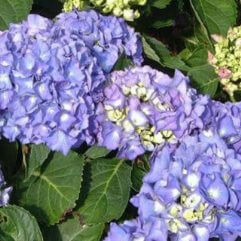 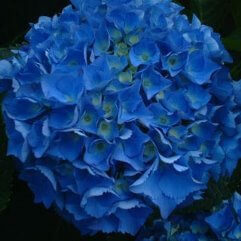 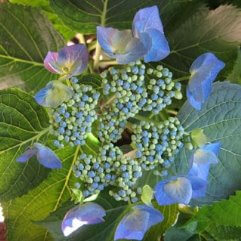 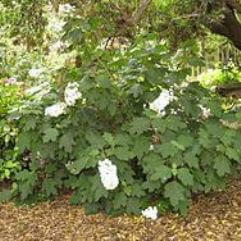 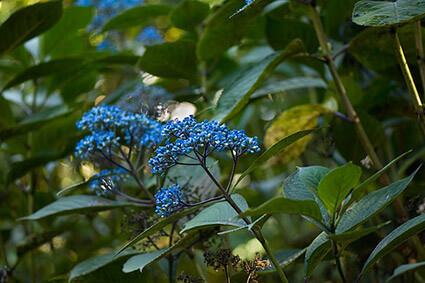 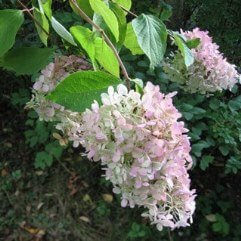 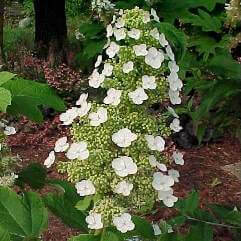 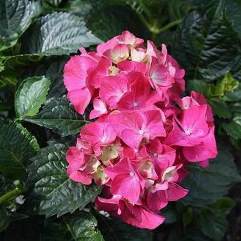 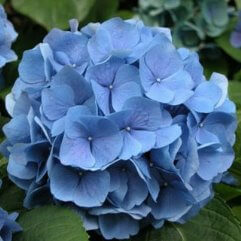 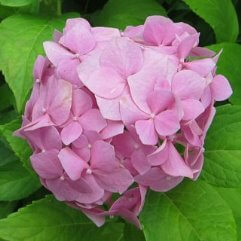 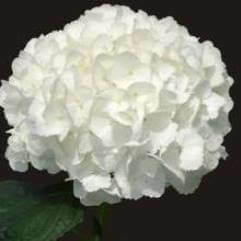 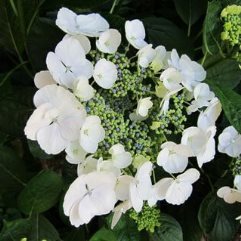 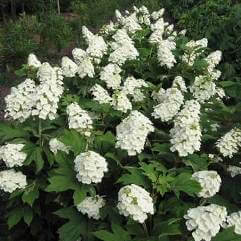 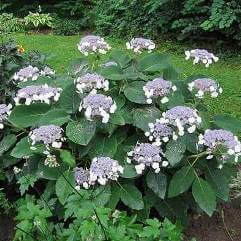 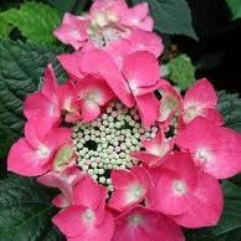 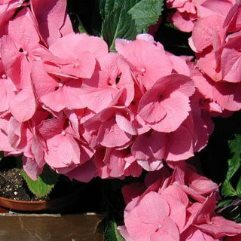 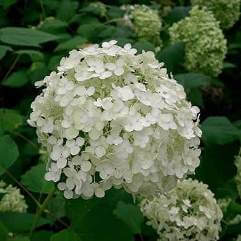 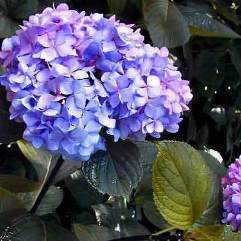 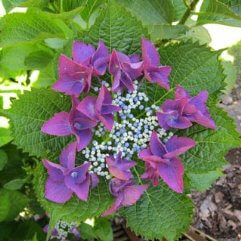 An evergreen Hydrangea with large dark blue flowers or pink flowers, depending on your soil PH. 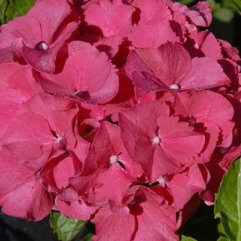 Hence the name 'Versicolour'. 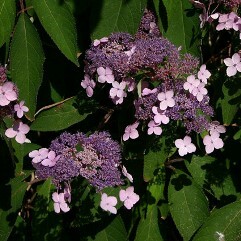 Spring, Summer, Autumn and occasional Winter flowering. 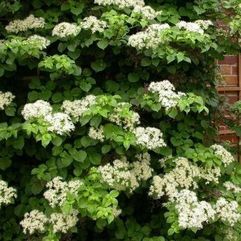 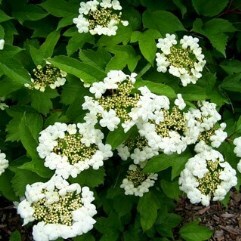 Great for hedging, borders or shrubbery.